UK conglomerate Jardine Matheson expects to generate net proceeds of around 1.7 billion pounds following an agreement to let Marsh & McLennan acquire insurance broker Jardine Lloyd Thompson for US$5.6 billion, or 19.15 British pounds a share. The price that Marsh will pay represents a 33.7 percent premium over Jardine Lloyd Thompson’s closing price on Monday. Jardine Matheson, which holds 40.16 percent of Jardine Lloyd Thompson, has given an irrevocable undertaking to support the offer, it said in a filing to SGX on Tuesday. Investment company Chuan Hup Holdings has been approached by an unnamed third party about a potential transaction involving PCI Ltd, a listed electronics company that it controls. Chuan Hup said this after PCI responded to queries from the Singapore Exchange in relation to movements in the share price. “Shareholders are advised that the discussions are on-going and there is no certainty or assurance whatsoever that these discussions will progress beyond the current stage or that any transaction will arise from these discussions,” Chuan Hup said late Tuesday in a filing on the stock exchange. Trading in Chuan Hup and PCI shares will resume on Wednesday after being suspended on Tuesday afternoon. Daiwa downgraded SIA Engineering to Hold from Outperform after media reports indicate Tigerair Australia may end all maintenance work at SIA Engineering’s facility in the Philippines. SIA Engineering had allegedly failed to detect serious faults in one of Tigerair Australia’s aircraft during the maintenance process. Daiwa lowered its target for SIA Engineering to S$3.09 from S$3.56. 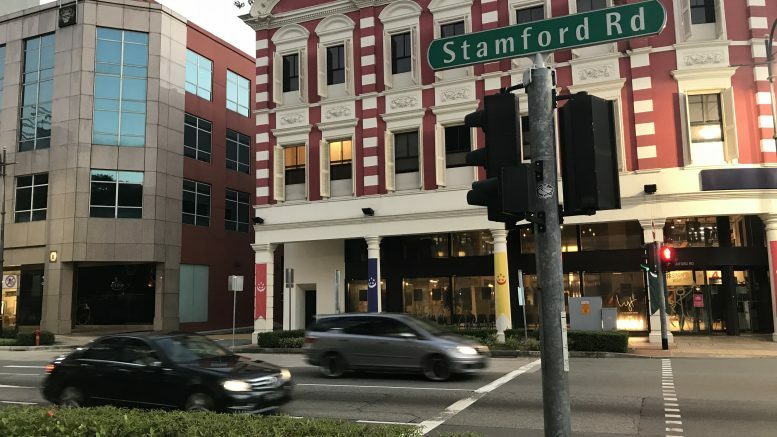 Frasers Property said after the market close on Tuesday that it has obtained a S$1.2 billion five-year “green loan” to refinance loans relating to the development of Frasers Tower, an office complex in Singapore’s central business district. The lenders include BNP Paribas; DBS Bank, ING Bank N.V.; Malayan Banking Berhad; Oversea-Chinese Banking Corporation; and United Overseas Bank. Frasers did not disclose the interest rate. SBS Transit said late on Tuesday that it will receive S$29.2 million from the sale of operating assets to the Land Transport Authority (LTA), which is slightly higher than the earlier estimate of S$28.8 million. The transfer is in line with Singapore’s new rail financing framework, whereby LTA will own all the rail assets and charge companies managing the rail service a license fee. SBS Transit, which is majority owned by ComfortDelGro, operates the North East Line (NEL), Downtown Line (DTL) and the Sengkang Punggol LRT systems as well as a large part of Singapore’s bus network. Commodities trader Noble Group has completed the sale of four bulk carriers for US$95 million and will receive net proceeds of approximately US$32 million. Noble’s statement to the Singapore Exchange on Tuesday referred to the carriers as Panacore vessels.